So, I was a never huge on drinking water. I drank a ton of soda, Mt. Dew, root beer, coca cola. Those were my favorites. In a recent attempt to start getting in shape, soda was the first thing I gave up. Hesitant at first, and failed. My 2nd (or really 4th) go at it, I’m currently at 98 days without soda! Part 2 of my water challenge is making sure I get my daily intake of 64 oz of water. Some people like to drink from a strong, some use large cups to drink a lot of water. I’ve come to realize that my trick to drinking more water, is drinking from a standard 16.9 oz water bottle. I hate using so many bottles, so when I found this little gem, I was so excited! Looks like a regular water bottle right? Well, another thing for me is, I can’t drink water that isn’t ice cold. It’s not refreshing, and generally doesn’t taste as good. I used to put bottles in the freezer but more often than not, j would forget about it, and then I would have a completely frozen solid bottle of water. 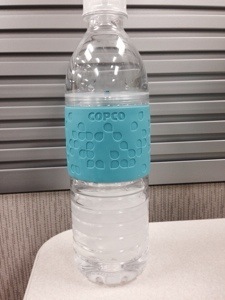 This Copco water bottle is ingenious. You can unscrew it from the middle, to put ice in the bottle! It’s made of tritan, and is completely durable. I bought mine from Amazon.com, and there are a few different colors available. Usually at work, I drink about 36 oz of water, and then the rest at home. 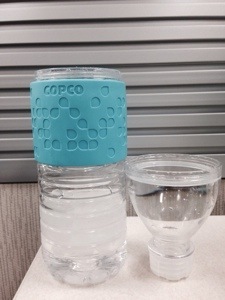 But with the help of the Copco cup, I drink about 60 oz a day, at work alone. I never would have thought not drinking soda would be so easy! Not a super fun post, but I want everyone to get one of these water bottles! I want to get more too. I will get more. I’ll post my book challenge update tomorrow, and maybe a weight loss check in. Maybe.